Premium Quality grain leather with double stitching on high wear areas for added durability. Adjustable ball and tape closure and split cowhide palm patch. 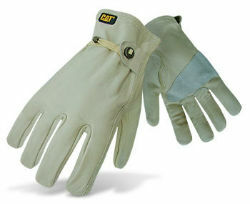 Repels water and provides good thermal protection.